On Revlon’s new “Grow Luscious” mascara: I am so disappointed with this product, not because it won’t grow my lashes – I won’t give it the chance -but because it smudges and flakes and leaves me raccoon-eyed at the end of the day. Mascara FAIL! Every cosmetic company on the planet knows how to make a decent mascara these days, so Revlon, you should know better. Pooh. One by one I’ve tried the drugstore brands: 2000 Calorie, Voluminous, Loreal’s lengthening, etc. etc. At first they worked out just fine, but after a few weeks the stuff was coming out of the tube in big globs. The mascara wasn’t the problem; it was the cheap tubes! I never found a brand I could be loyal to. Voluminous was my go-to for awhile, but even it wasn’t perfect. The bottom line is that I hate globby mascara, and would prefer something slightly more liquid than what drugstore brands are offering these days. So does the search for the perfect, affordable drugstore mascara continue? I’m afraid it may be a lost cause. Granted, when it comes to drugstore cosmetics the Gold Standard is still Great Lash. It’s OK. I used it when I was younger. Then I discovered the high-end cult favorite Diorshow – ooh my gawd it was perfect – and was hooked on it until I got a bad batch. I guess the brown version isn’t so good; either that, or the brown doesn’t sell well enough for stores to keep a fresh product on display. OR, if I am to go by the many online reviews at Sephora.com, perhaps the brand not as good as it used to be, because it seems many women are getting “bad batches” of DiorShow these days. Maybe the company has begun to mass-market on the cheap? If so, what a shame. Every mascara I purchased in 10+ years, with the exception of the DiorShow, was thrown out well before it ran out. My last attempt at a drugstore brand before the Grow Luscious debacle was Loreal’s Double Extend. It, like this Revlon product, went straight into the wastebasket after just three uses for being clumpy, flaky and irritating. 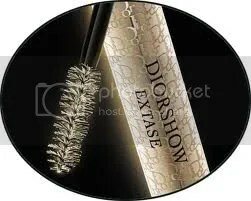 For all the money I spend on drugstore mascaras only to throw them out shortly afterwards, I could have just sprung for a DiorShow or Dior’s newest mascara, Extase. I understand it’s getting great reviews. So that’s it: I’m admitting defeat! I’m leaving drugstore mascaras behind; perhaps department store brands really are the way to go. The only mascara in my makeup drawer right now is a free sample I received from Estee Lauder: More Than Mascara. It’s actually pretty good. It goes on thin, almost inky, so I wouldn’t call it thickening, but lengthening, definitely! Even better there is no glop and I don’t have to use a las,h comb after I apply it. It looks natural. I can rub my eye and it won’t smear or flake. It cleans up well at removal time with water and a washcloth. Would I pay retail for it? Too soon to tell, but I’m tempted. Stay tuned . . .
Have you tried Max Factor Xperience, volumising- in brown/black? Mascara generally is one of the worst performers when old/stale.Hence will flake no matter how good/ expensive the brand:-) Buy from a store with high turnover and select one from the back….Also make sure sun screen, eye cream etc have left no residue around eyes or panda eyes is guaranteed ! 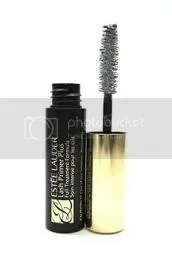 Another good (but pricey)luxury one is Guerlain le mascara with the double wand. 3 months is the max time for any tube regardless..
Xperience? That’s a new one for me! I’ll pick it up next time, thanks! I really need to remember to keep my drugstore receipts, because some stores take returms on makeup if they’re the wrong color or just don’t work or whatever. Too often I pitch them the minute I get home. 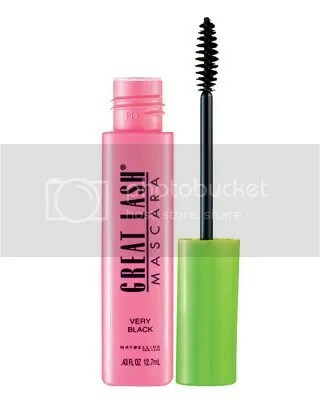 I use Voluminous mascara, and you’re right, it does glob up after a while. I simply wipe up the excess around the wand with a tissue, and it’s (almost) as good as new. No Max Factor in my town? Why, why? email me an address and I’ll mail you some.Brown/black? BTW it’s more of a daytime look than a dramatic evening one.